Back in January, the U.S. Federal Trade Commission sued chipmaker Qualcomm over what it calls "onerous" terms charged by the San Diego based company to license its patents. These payments were made by smartphone manufacturers to Qualcomm to license the use of the company's chips. It was this past April when Qualcomm first said that the case against it should be dismissed. Last month, the FTC disagreed and said that it would go forward with its suit. But just yesterday Qualcomm said that the FTC's case was lacking in facts, and took its information from friend of the court briefs filed by Samsung and Intel. Back in January, Apple filed multiple suits against Qualcomm claiming that the company abused its clout in the marketplace by refusing to lower royalty costs of standard-essential patents. These patents, required to manufacture certain products, are usually offered with lower licensing rates. Suits from other countries all argue that Qualcomm has taken advantage of the power it wields in the marketplace. The South Korean Fair Trade Commission fined the company $850 million in December for being a monopoly and for using an "unfair business model." 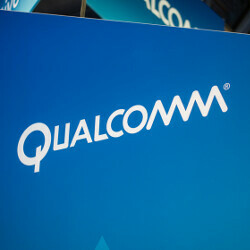 And China fined Qualcomm $1 billion in February after a long investigation into the company. Last month, Qualcomm was told by arbitrators to pay BlackBerry $940 million. That payment revolves around overpayment of royalties made by BlackBerry, to Qualcomm. Why blackberry won is, blackberry had a contract with Qualcomm to purchase so many components from Qualcomm. However blackberry didn't​ even come close to needing and using all the components from Qualcomm. So then Blackberry tried to renegotiate their contract with Qualcomm. This also means different prices on those components, because the more you buy, then the cheaper the price is on those components (volume pricing). Apple entered into a contract with Qualcomm as well. If Apple is expecting major rebates. Then clearly Apple's paid out more for components that they didn't or couldn't use. Apple's sales lately have been lower than their previous years. fucc qualcunt, I hope they lose. qualcomm's patent should have been FREND.